Journalism is unarguably one of the most demanding professions. Beyond professional skills, journalists need prayers to succeed in their calling. 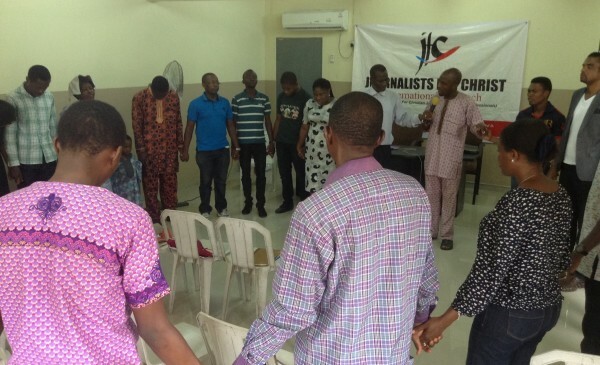 Below are five prayers for journalists which formed the basis for discussion at the September, 2016 fellowship of Journalists for Christ held in Lagos. Father God, we commit journalists worldwide into your hands. We pray that you will grant them grace to fulfill your purpose for them in the profession. We pray for wisdom and protection as they go about their daily assignments. You gave the word and great is the company of those who publish them, let every journalist be your true ambassadors. We pray that nothing shall separate them from your love. As they are committed to being the voice of the voiceless, you will fight their own battles for them. We come against the spirit of lack and want associated with the profession and pray that you will bless the work of their hands. and the slanted word which corrupts. we may, unashamed, meet Thee face to face. Eternal God and father, you are the God of truth and justice. I want to pray for all journalists especially those who have deliberately departed the way of truth and honesty. That through their daily engagement they may learn to be witnesses of truth. Grant them wisdom to know when and how to stand for the common good. Let the pen they hold daily be their way to salvation and greater peace with you. We give you thanks for writers, producers, broadcasters and journalists, and all who work in the media. We thank you for their creative skills and technical abilities, and their persistence in seeking after truth. We ask that they may have wisdom, integrity, insight and judgement in their work. May they be a voice for the powerless, a challenge to the powerful; bringers of knowledge and clarity to an uncertain and confused world. Help them to reach for the highest professional standards, especially when budgets are stretched, time is tight, and competition increasing. May they resist the temptation to follow the consensus, jump to easy conclusions, pander to prejudice or cut corners. Help us, who read, watch, listen and contribute to the media, to play our part by being wise and discerning, so that truth and beauty will be the hallmarks of our media. We offer these prayers in the Name of the One who brought the Good News, declared himself as the Truth, and gave Himself for a world in need.